The Garden Suite is one of the three suites is one of the three suites that can be booked together during the summer months for family- or friends-together bookings. It is also available in the off-season as a single unit rental (no kitchen). 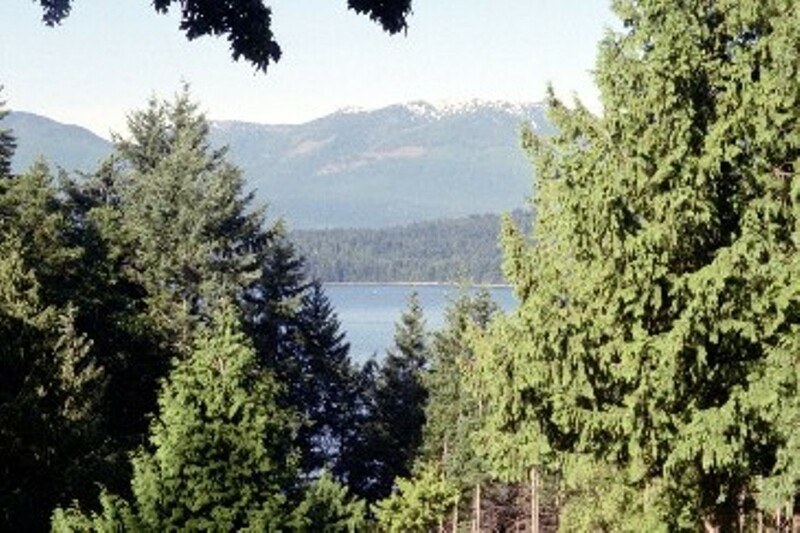 Mountain and water views out over majestic cedar trees toward Denman Island and the Vancouver Island mountains. Wheelchair ramp to semi-private entrance for easy access. 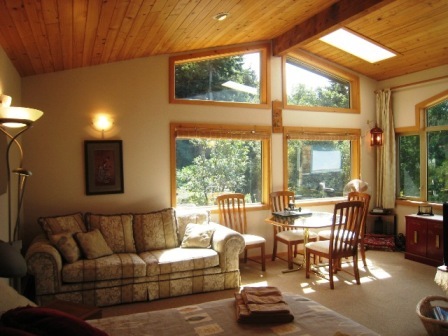 Bright & sunny, it is accented with antiques and has a bit of a Japanese zen feeling. Comfortable queen-sized bed and and queen-sized sofabed can sleep four. Sit back with your cup of tea and let the quiet soothe your spirit and inspire your dreams...! !